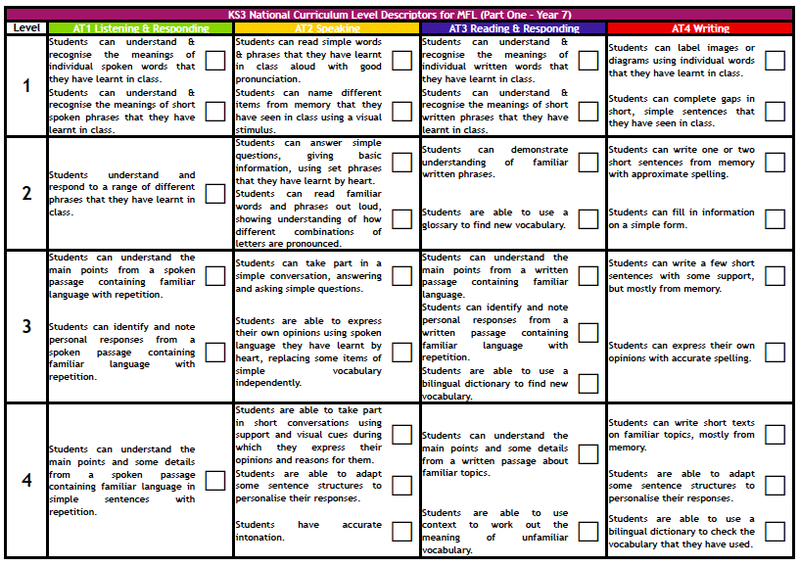 This entry was posted in Assessment, Languages, Methodology, MFL, Policies & Syllabi, Pupils, School, Teachers, Teaching, The System and tagged AfL, Education, languages, learning, MFL, modern foreign languages, monitoring & reporting, National Curriculum, school, Teaching, teaching & learning. Bookmark the permalink. Rubric (rubrique?) de Monsieur M, j’M! !